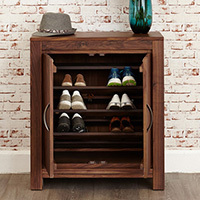 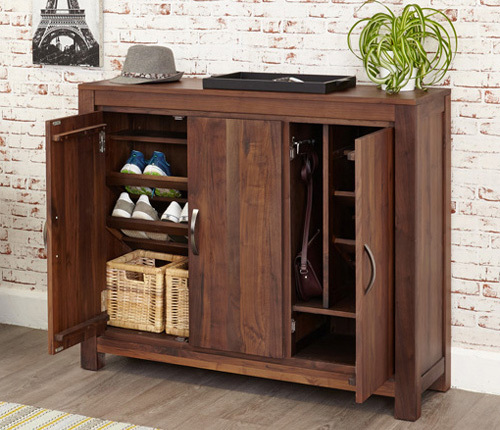 Our stylish extra large shoe cabinet is a great way to de-clutter the hallway. 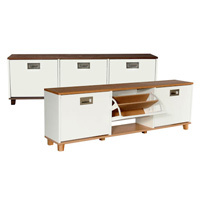 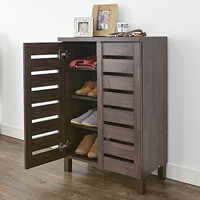 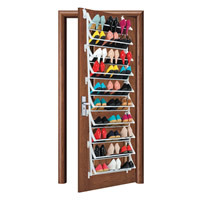 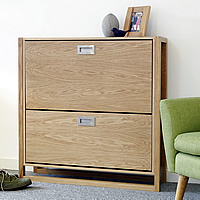 In total this quality solid wood shoe cupboard can store up to 20 pairs of heels or flats. 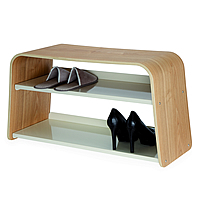 On the right there are 4 shoe shelves, one of which is removable for boot and welly storage plus a shelf for hats and keys etc. 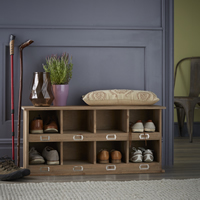 The right hand side of the unit has 3 more shoe shelves and nestled neatly in the middle there is also a pull out rail for storing umbrellas so you don't need to be caught out in the rain again. 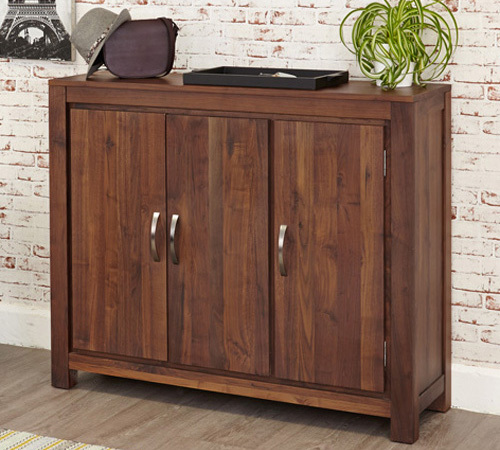 Exceptional quality, this unit is built from top grade walnut hardwood with a hard dense grain making it perfect for building unique furniture. 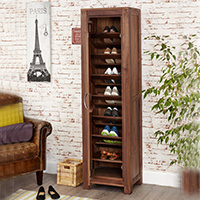 Delivered to your door fully assembled and coated in a resilient satin lacquer finish, this stylish shoe cupboard comes with a 5 year guarantee. 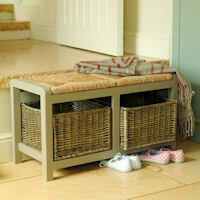 PLEASE NOTE THAT THE BASKET SHOWN IS NOT INCLUDED.